Australian citrus production began in 1787 when the English First Fleet set sail under instructions to introduce plants and seeds for sustainable horticulture. Lemons, limes, oranges, grapefruit and mandarins were planted in and around Sydney and formed the basis of today’s national industry. The early settlers found Australia’s diverse climate ideal to produce a large range of quality, sweet and juicy citrus. In the southern growing regions, hot, dry summers and cool winter rains encourage excellent orange fruit growth and exceptional colour. In contrast, the combination of summer heat and humidity, and dry winters in the northern growing regions of the country are ideal for producing superior mandarins. Today, over 28,000 hectares of citrus are planted by around 1,900 growers. The major production regions are in the Riverland, South Australia; Murray Valley, Victoria and New South Wales; Riverina, New South Wales and the Central Burnett region in Queensland. 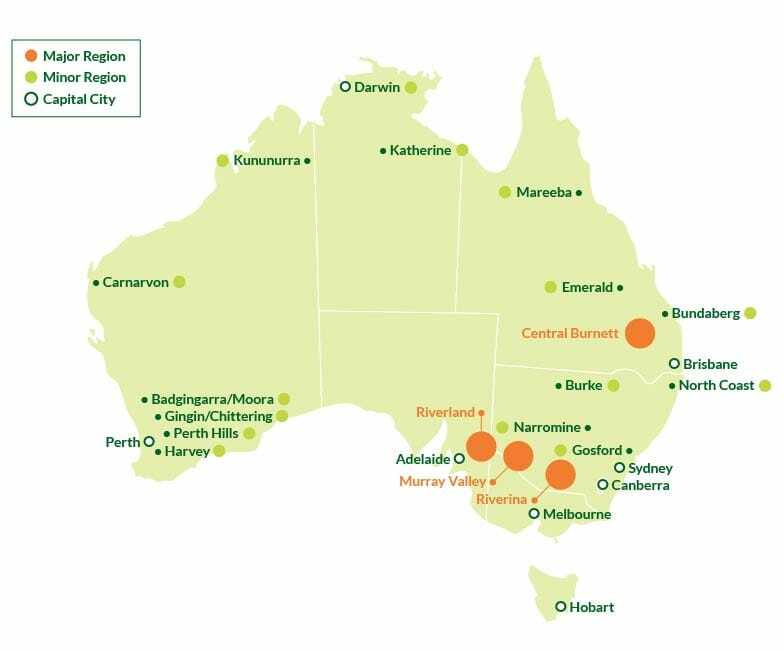 There are also additional plantings throughout Western Australia, inland and coastal New South Wales, regions in Queensland, as well as smaller plantings in the Northern Territory.